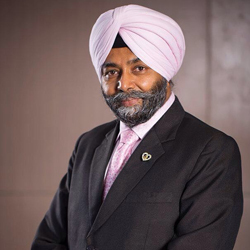 Dr. Kamaljit became involved in the active research of several marketable Acupressure / Magnetic Health Care devices and products, and he specialised in the relatively unexplored topics of the effects of magnetism on the human body. This had intrigued him for many years, and he became convinced that tapping this neutral energy source could be a wonderful means of healing. His expertise in Accupressure treatments is well known, with amazing results being achieved, sometimes with just a few weeks of treatment. It is similar to acupuncture, but there are no needles involved, - just pressure to nerve points, so there are no side effects as is normally the case with drugs and medicines.